Last night, I attended American Ballet Theatre’s The Nutcracker at Segerstrom Center for the Arts. Rather than taking Athena, I decided to have an adult evening out and went with a friend, Brenda. Admittedly, their take on The Nutcracker was very different from anything I’d experienced before and rather bizarre. Even the opening scene didn’t begin with the family party; instead, there were servers preparing the food and mice dancing in the kitchen. From the moment Clara’s godfather arrived, though, and his toy started to dance, I knew it was going to be a masterful performance. It seemed that the more people there were on stage, the better they did. I remember the exact moment I said, “this is going to be spectacular.” The godfather just opened the first set of toys and they came out of the box like they were puppets, not because they were stiff but because they moved so fluidly it was like they were on strings and gracefully floating on air. I’d been to dozens of ballets but I’d never seen two dancers move with such precision. The battle scene between the Nutcracker and the mice wasn’t overly spectacular, but the costumes were stunning and I enjoyed the young age of the Nutcracker. That was always something that puzzled me in other performances. I found it sort of creepy that the Nutcracker was so much older than Clara. In this production, they are similar in age. 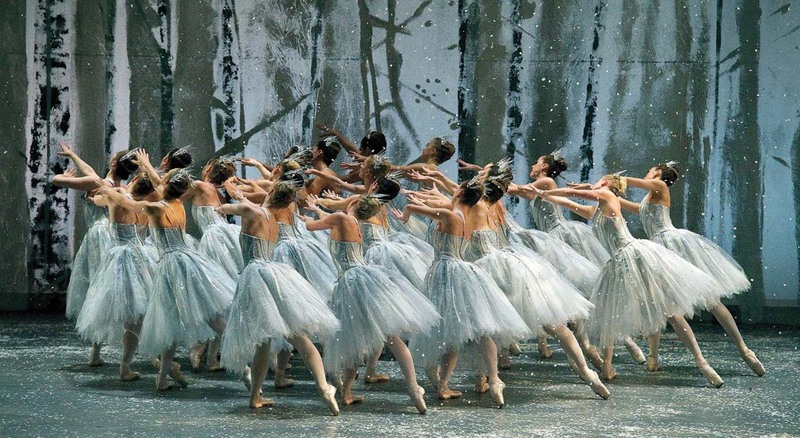 The snowflakes came on stage and I was completely transfixed but their costumes and the fluidity of their movements. Like the two toys, they glided across the stage in complete unison as if they were a vehicle shifting and changing shape as one. There were about 20 girls on stage at the same time but they never missed a movement. I was watching actual snowflakes fluttering to the ground. 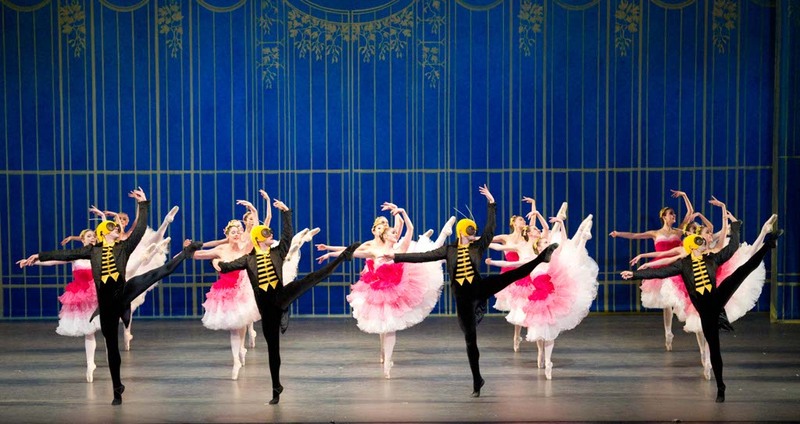 In the sunny Land of the Sugar Plum Fairy, bees entered the stage and it was the first time in my ballet experiences that I preferred the performance of men over women. They stole the show. They moved around the female dancers, as good at their acting as their ballet. It was like being in a field of flowers and watching life-size bees pollinate them. Normally, my favorite part of the production is closer to the end and more individually focused. While it was all beautiful, I couldn’t help but wish the snowflakes and bees had more time on stage. American Ballet Theater has mastered the art of unison. The larger the group, the more unbelievable it was. The Nutcracker has always been my favorite holiday production. I worried that this one was too different from what I was use to but it might have been my favorite rendition yet. There may have been a lot of bees but it was an A+ performance. This entry was posted in California, California Entertainment, Reviews, Travel, USA and tagged American Ballet Theater, Ballet, California, The Nutcracker by lesleycarter. Bookmark the permalink. I remember taking my own daughter to a performance when she was 8 or so–a good age since the performance can be long. I sewed her a special green holiday dress and her anticipation was tremendous about having a special outing with Mom. Our ballet was more traditional-yours sounds amazing. It’s a wonderful holiday tradition.